A book donation ceremony was held in the University Gallery on 19 March. Professor Laurence K. Chan from the University of Colorado, U.S. introduced his co-edited book Nobel and Lasker Laureates of Chinese Descent in Literature and Science to the guests, and presented copies of the book to Professor Joseph J.Y. Sung, Professor Kenneth Young, and Lady Gwen Kao, who have contributed chapters to the book. 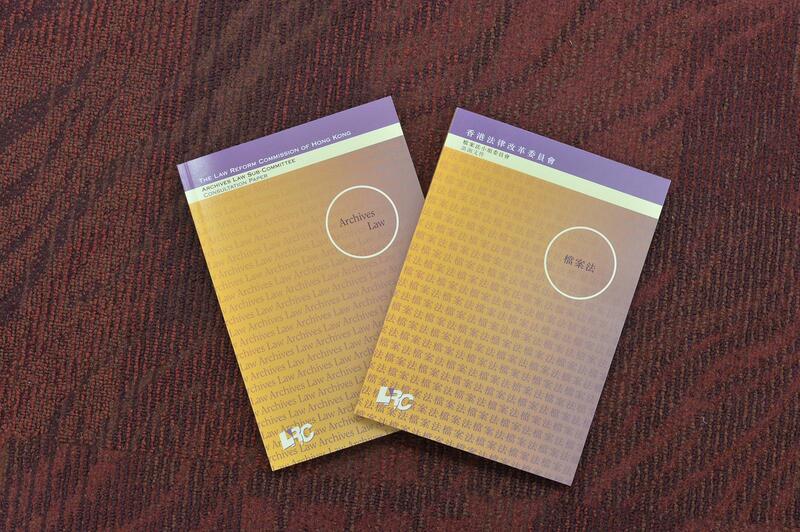 Additional copies were donated to the Library for retention and circulation. The ceremony took place in front of the showcase of the two Nobel laureates, Professor Sir Charles Kao and Professor Yang Chen-ning. 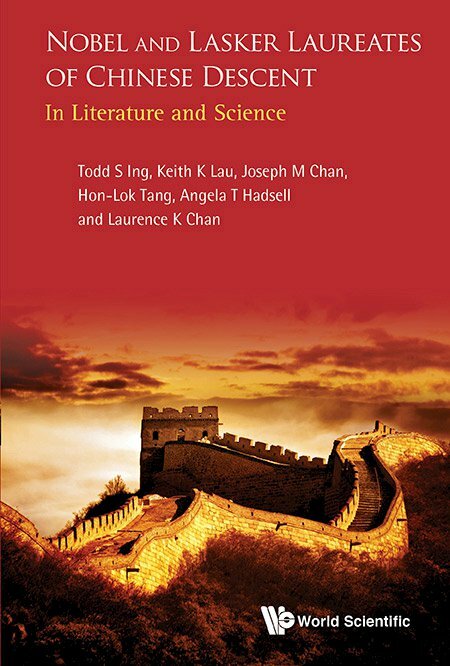 This newly published book introduces the lives and researches of 15 Laureates of Chinese descent, including 11 Nobel Laureates, 3 Lasker Laureates, and 1 Wolf Laureate. 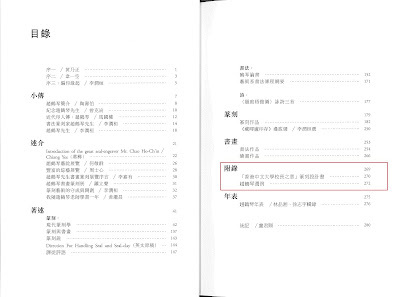 Professor Chan stated that the editors “hope to inspire the youth to emulate them in the hope that they too might become Laureates one day.” Among those 15 Laureates, 12 of them have close relationship with CUHK, therefore it was so meaningful to hold the ceremony in such a hall that exhibits the history, memorable moments and achievements of the University. 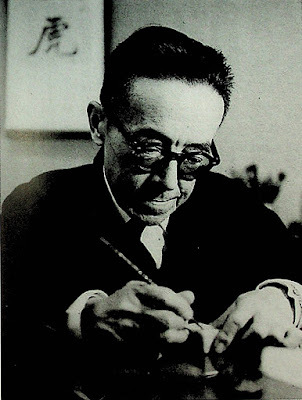 Professor Laurence K. Chan introduced his co-edited book Nobel and Lasker Laureates of Chinese Descent in Literature and Science to the guests. Professor Laurence K. Chan (2nd left) presented the books to Professor Joseph J.Y. Sung (2nd right), Professor Kenneth Young (1st left), Lady Gwen Kao (middle), and the University Librarian Ms. Louise Jones (1st right) in front of the showcase of the Nobel Laureates Professor Sir Charles Kao and Professor Yang Chen-ning. Professor Laurence K. Chan (left) visited the University Library to view archival collections of the Nobel Laureates Professor Sir Charles Kao and Dr. Gao Xinjian. Preservation is at the heart of archives management. Once the record has been appraised as having archival value for long term retention, appropriate preservation measures should be taken to ensure people will be still able to use the record after a hundred years. 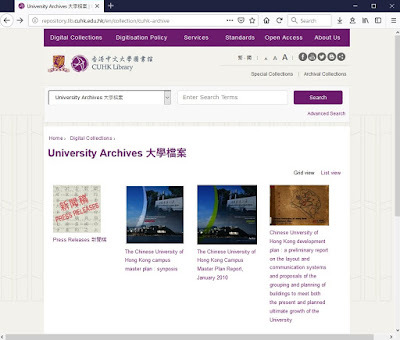 CUHK has setup an archives repository with facilities with professional standards to provide a safe home for the archives. In fact, before putting the records into the storage, preservation works are necessary in order to prolong their useful life. Records in different media (paper, photo, video tape, CD, etc.) require different preservation methods. Taking paper records as an example, the records will be placed in the processing area of the repository first, then the staff will wear clean cotton gloves to check the physical conditions of the records, like seeing whether they are water soaked, or infected with mould and pests. 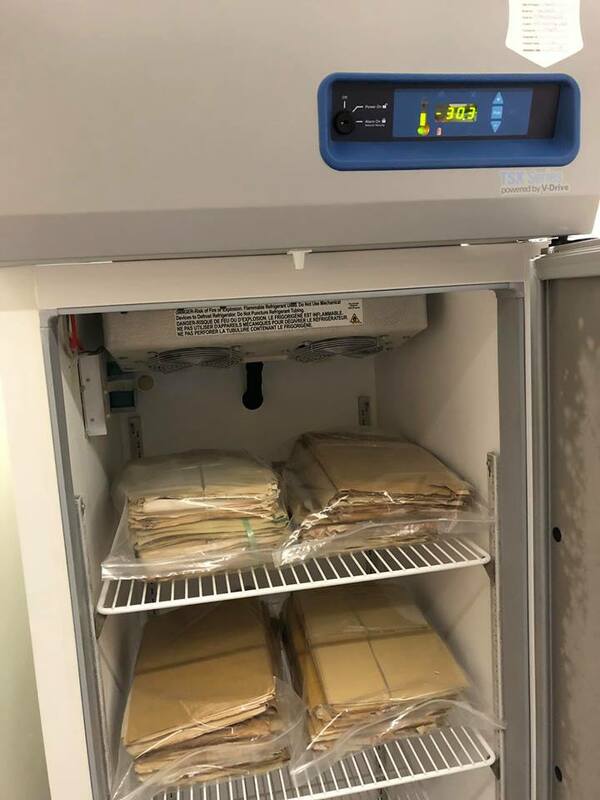 Old records are usually placed into freezer with a temperature of -30°C for a few days to a week to make sure the mould and pests cannot grow. Records with serious damages are needed to be reviewed and processed by professionals. The staff will clean the dusty surface of the records. 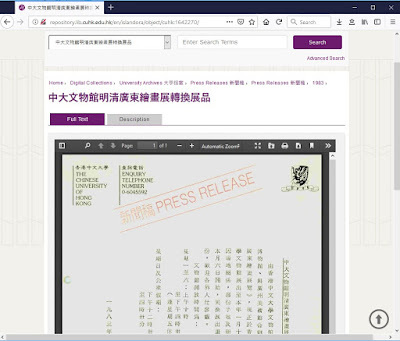 In case that the content of the document is fading out or becoming illegible, the document will be photocopied by using acid-free archival paper. 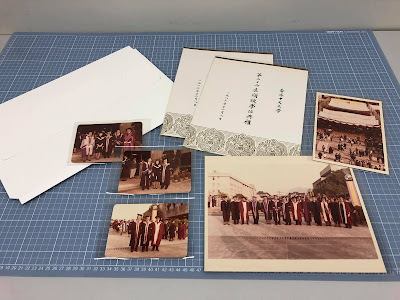 The original folders, staples, clips will be removed and replaced by containers with archival quality such as acid-free folders, papers, and photo sleeves, etc., finally they are put into archival boxes for storage. Such a process not only prolongs the life of the newly acquired records, it also safeguards the conditions of the stored records that will not be affected by the new ones. 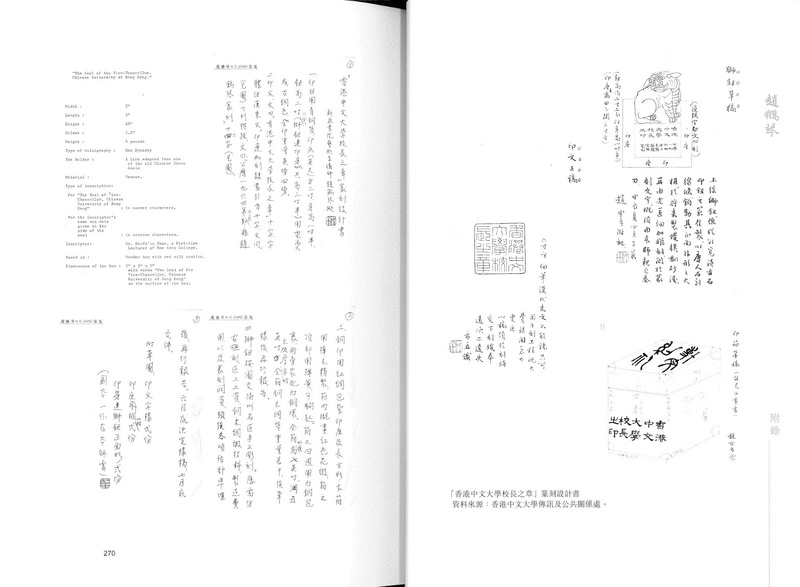 The above case is just a brief introduction of the archives preservation works, and the real-life practice can be much more complicated. 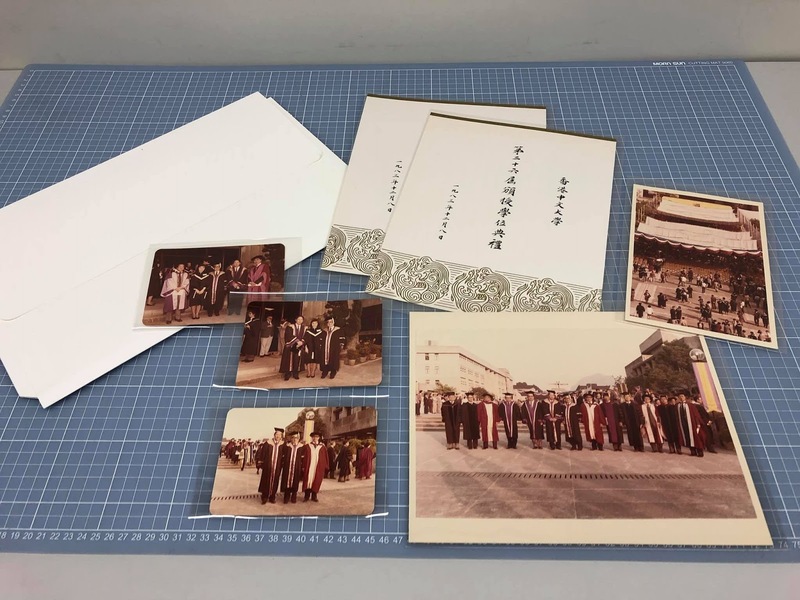 The University Archives is currently processing a large amount of records and photos to ensure these precious University assets are properly preserved. Some of the archival supplies and preservation tools used by the University Archives, e.g. 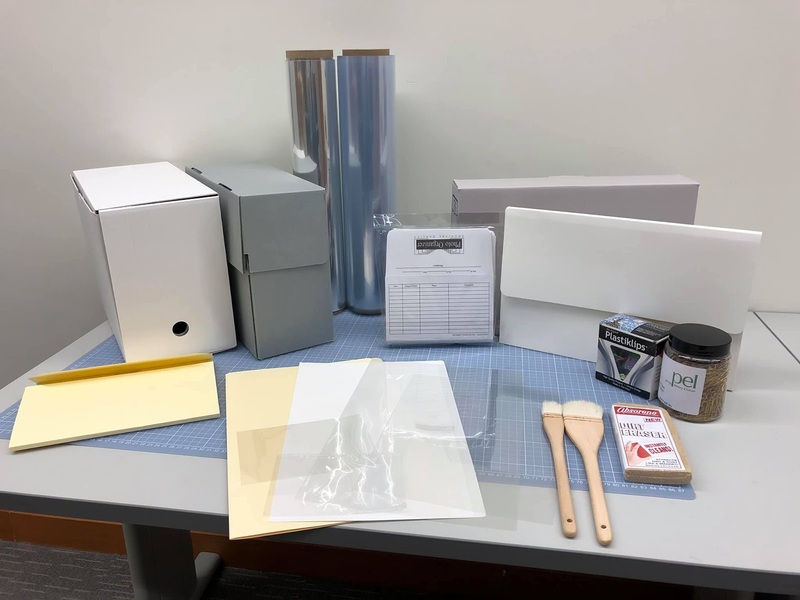 acid-free folders, archival papers, photo sleeves, boxes, dusting brush and dirt eraser, and plastic and rust-proof brass paper clips, etc. Old records are usually placed into freezer with a temperature of -30°C for a few days to a week to make sure the mould and pests cannot grow. Preserving photos of Professor Ma Lin’s the 2nd Vice Chancellor: photos are put into acid-free photo sleeves, then put the photo sleeves into document wallet. • BW 90: Inter-University Council for Higher Education Overseas: Correspondence and Papers. • CO 1045: Colonial Office and other departments: Papers of Sir Christopher Cox, Educational Adviser. The content includes: the development of the Hong Kong post-secondary education in 1950s to 1960s, the establishment of CUHK, the role of the University of Hong Kong in CUHK development, selection and appointment of the first Vice-Chancellor (with the list of candidates), the background of setup of the CUHK medical school, etc (please check the table below for details). 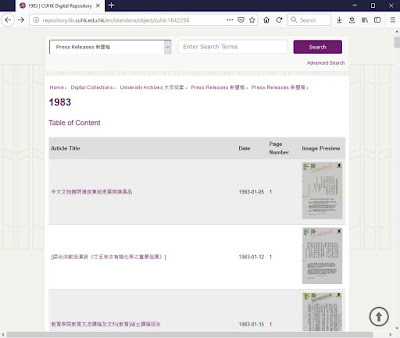 With other records of Hong Kong affairs purchased from TNA, these records are now uploaded to the “Digital Collection” on CUHK Library’s website for on-campus access. 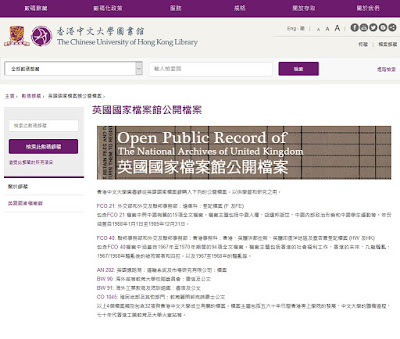 CUHK Archives will keep an eye on any CUHK-related records kept by TNA and other units. 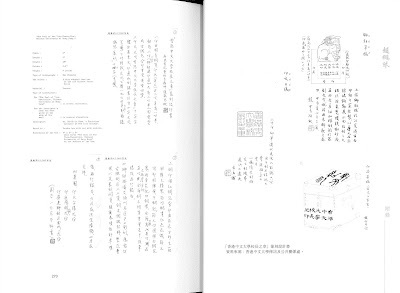 We will try our best to collect as many open records as possible. Records are vital resources of an organization and they document the policies, decisions, and activities, etc. Government records may contain importance information of governance and civil rights. For such records to maintain their value, they must be properly created and managed to ensure their authenticity and usability. Most of the countries or jurisdictions have archives legislation, and in contrast Hong Kong Government has been using administrative directives, guidelines and publications to regulate the management of Government. In response to the social urge of archives law legislation in recent years, the Archives Law Sub-committee of the Law Reform Commission was setup in 2013 to review the situation and make recommendation. The Sub-committee has just released (6 December) the consultation paper to invite public views on whether reform of the current public records management regime is needed, and, if so, what kind of reform is to be preferred. The Sub-committee has studied the laws and practices of a number of jurisdictions, in particular, Australia, England, Ireland, New Zealand and Singapore, and has set out its observations and provisional views, as well as asked 12 consultation questions for instance the governance of the Government Records Service, and transfer of records to archival authority, and coverage of public records management regime, etc., to engage as much of the public as possible. The Sub-committee’s provisional views are that there are considerations in favour of the enactment of an archives law in Hong Kong, but there are also practical concerns over its implementation, such as shortage of archives management professionals, workload pressures on civil servants, challenges of electronic records management, etc. The consultation paper does not mention the penalties for unauthorized destruction of public records. As regards the scope of public bodies to be covered, the Sub-committee considers a "bespoke" approach and to “enumerate from time to time specific bodies that should be subject to the public records management regime” since there is no universal approach on the definition of public bodies, and the individual circumstances of the public bodies must be carefully considered before imposing on them any uniform mandatory records management regime. The consultation period will end on 5 March 2019. This Collection has been prepared for months since the digitization works usually have to go through processes like document collection, preservation, scanning, data entry, image quality checking, OCR quality checking, correction, and uploading, etc. This is a growing collection so please pay close attention to the website. In addition to collect, organize and preserve CUHK records that have enduring value, the University Archives also strives to promote the use of the historical records by supporting teaching, research, publishing, and audio-visual production activities of the University community and external users. 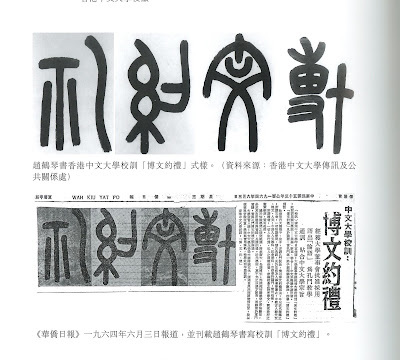 For instance, Chao Ho-chin, a book recently published by CUHK’s New Asia College, Department of Fine Arts, and the Alumni Association of Fine Arts Department, which introduces the life of the famous seal carving artist and painter who had taught in CUHK for years. 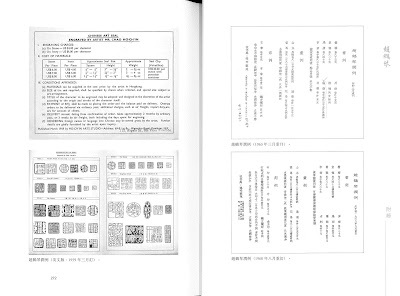 The book collects Mr. Chao’s seal carving works and reprints his articles and lecture notes, etc. 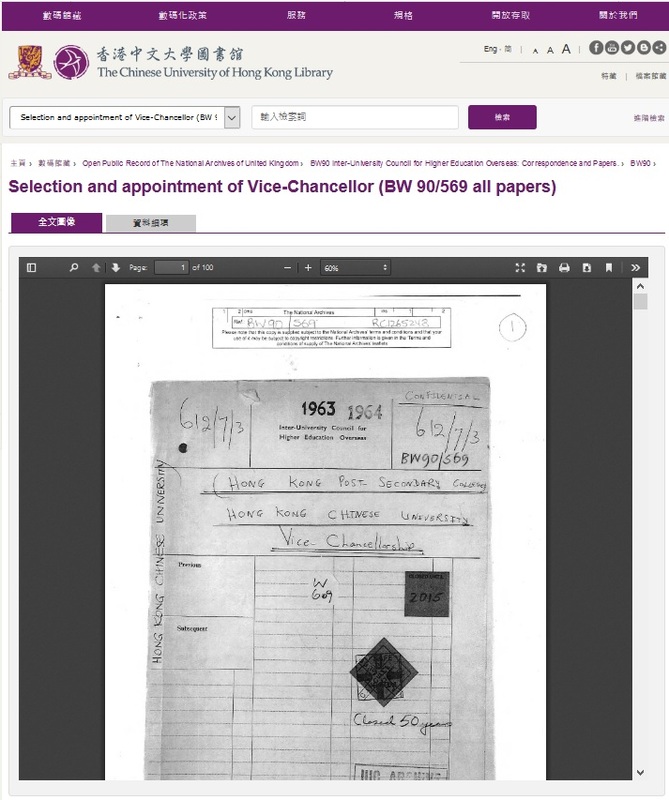 The editorial team of the book had contacted the University Archives for collecting relevant information of one of the Mr. Chao’s work – the CUHK Vice-Chancellor’s Seal (link). 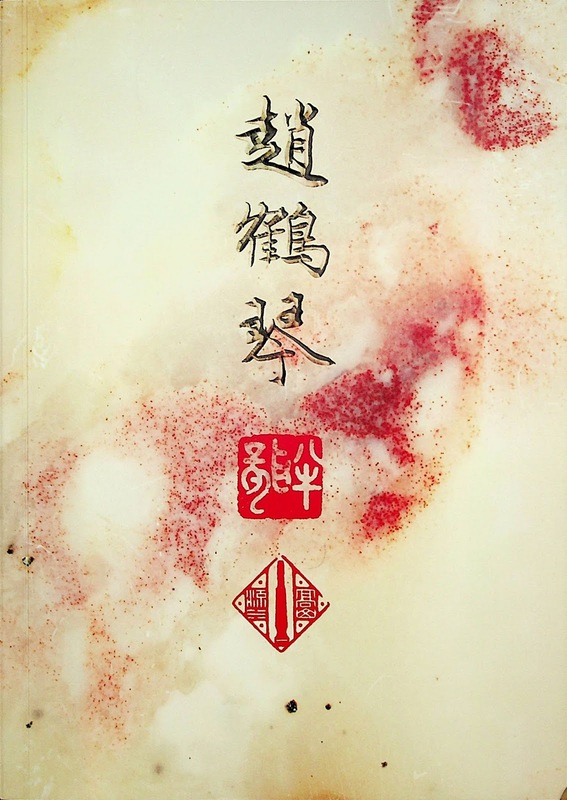 With help of the University Archives, the preliminary proposal of the seal (1964), the calligraphy of CUHK motto – “Bo Wen Yue Li” written by Mr. Chao (1964), as well as the price list (1959, 1963, 1968) were found in the Communications and Public Relations Office of the University. 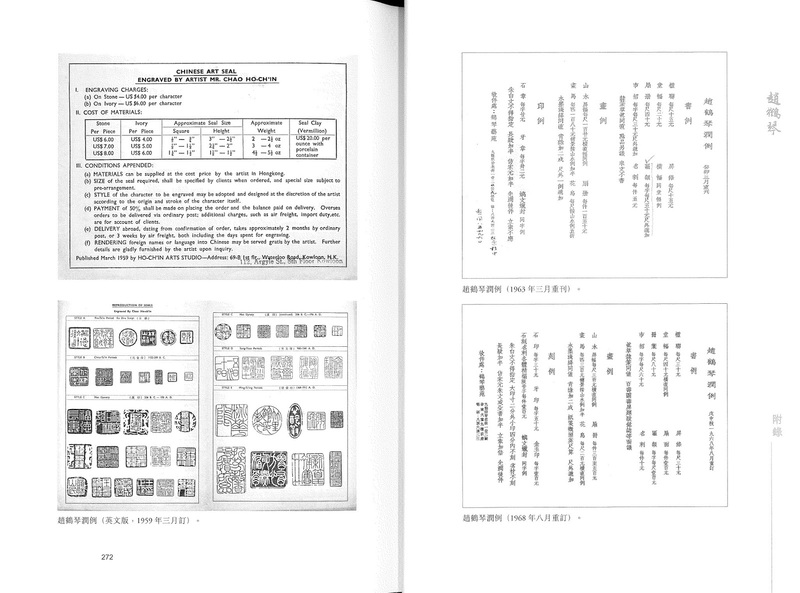 The images of the above-mentioned items were presented in the book. 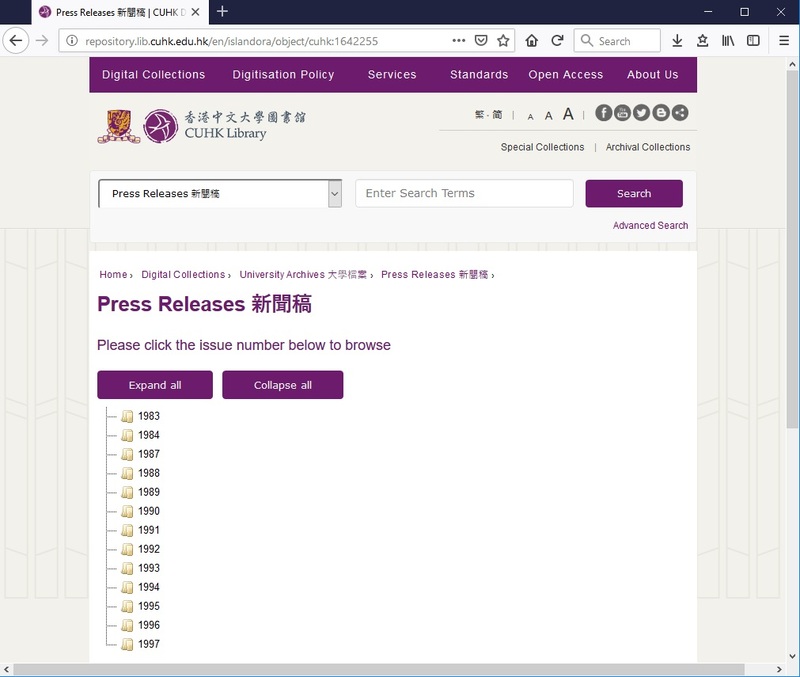 If you have research enquiries relating to the history of CUHK, please feel free to contact us. Chao Ho-chin – the preliminary proposal of the CUHK Vice-Chancellor’s Seal (1964). The holder of the seal in the early proposal was lion, and later it was changed to phoenix.